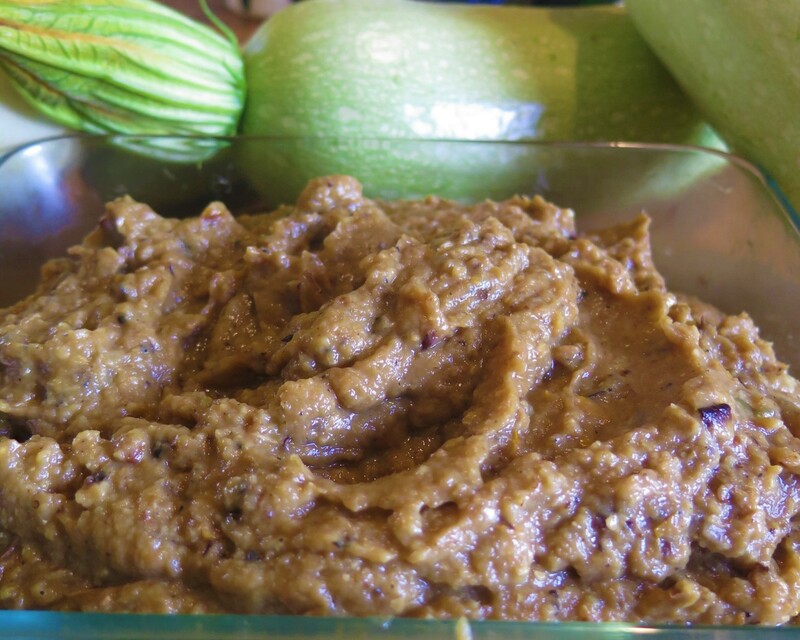 For everyone looking for something new to do with your zucchini glut – I’m pleased to be able to introduce you to zucchini baba ganoush. It’s actually awesome and is a wonderful recipe to add to your “dealing with heaps of zucchini” tool kit. This is a great recipe as you can use both small and large zucchinis, plus you can use dozens of zucchinis in one batch without becoming overwhelmed with the end product as they cook down significantly. Here’s how it works. Roughly chop up your large zucchiniz into large chunks. You can leave the smaller zucchinis whole and just chuck them onto some oven dishes with olive oil and a sprinkle of salt. 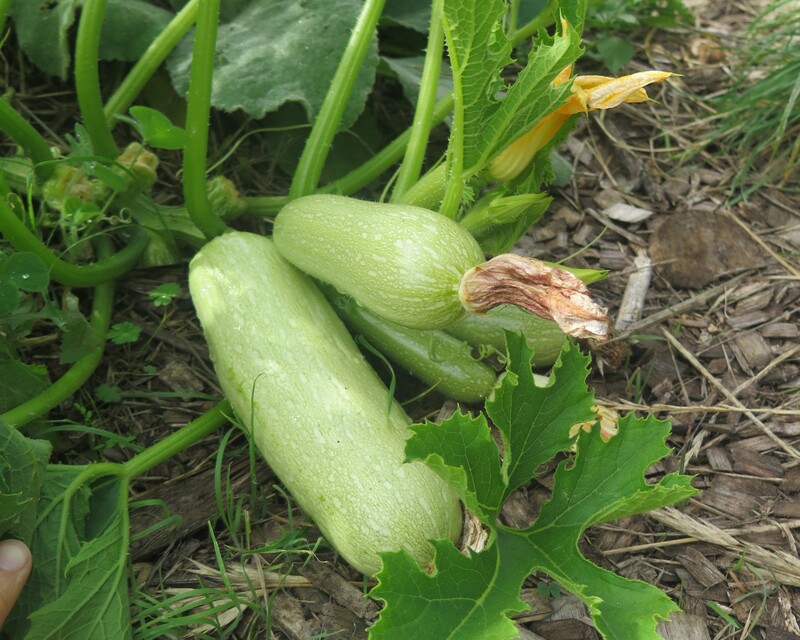 If you’re using really large zucchinis with mature seeds inside – scrape these out and put them in the compost. Put them into the oven at 200 degrees. You want them to get charred on each side, so turn them every 20mts – 30mts (or as needed). This process can take around 2 hours to get them evenly “burnt”. 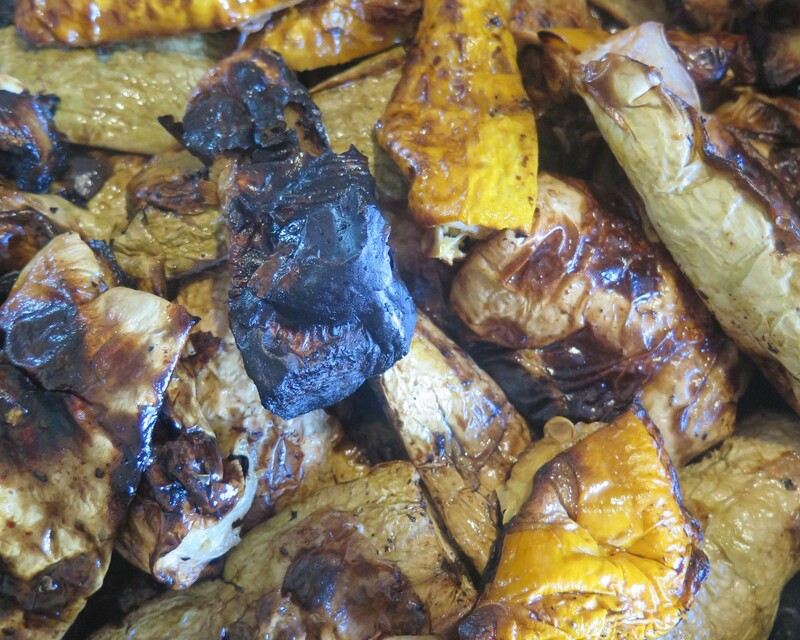 The charred, burnt flavour is delicious and actually tastes like eggplants (I think). Gather some desired flavours together. At least have garlic and a bit more salt – we also like adding paprika. Put everything into a food processor and give it a big whiz until it’s all creamy looking. Pop it into a bowl and serve up with carrot sticks or some delicious olive oil crackers – it’s that easy! 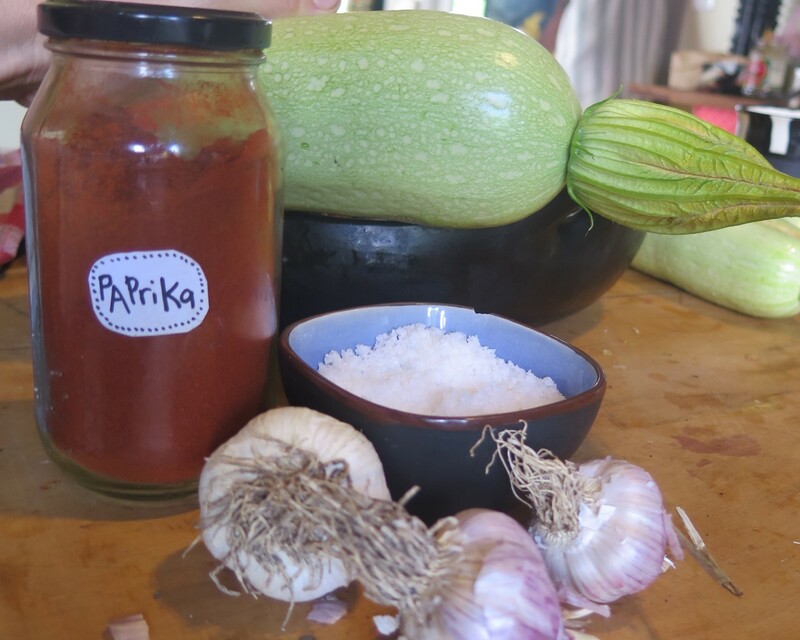 Special thanks to Sadie from Fat Pig Farm for sharing this recipe with us – it’s changed our current view on zucchini :-)! CalPhos nutrient solution for your garden. This is a new thing for me, so new I haven’t even tried it yet. 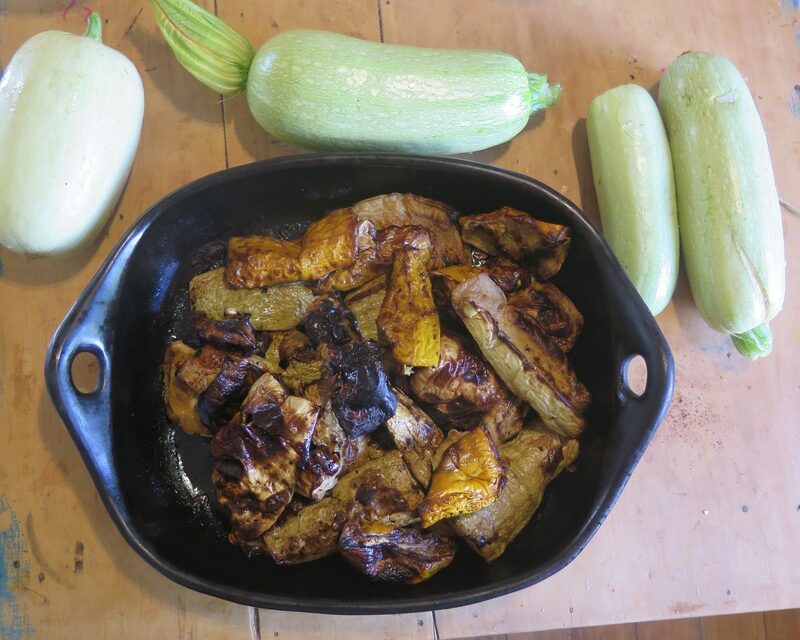 A very talented and lovely grower, Nadia Danti who manages Fat Pig Farm’s market garden shared this receipe and photos with me recently after I visited her and I think every keen grower needs to know about it. CalPhos is a nutrient solution for plants just entering the flowering cycle. There is an overlapping activity of Phosporous and Potassium during flowering. In natural farming, we apply calphos before the flower initiation to support the eventual fruit. In simplistic terms, we use Phosphorous to address the root system, which will enable the plant to access better water and nutrients from the soil to support the critical changeover as manifested by flower initiation. We use Calcium to strengthen the plant in preparation for heavy flowers/fruits. Thus, natural farming emphasizes Phosphorus and Calcium during the changeover period from growing to flowering/fruiting, and this provides for that need. There’s always so much to learn isn’t there! 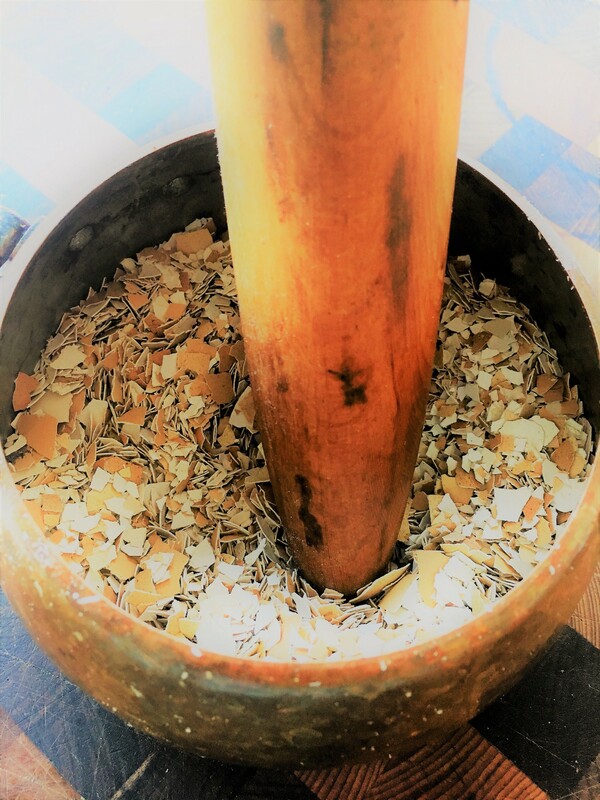 Nadia shared her recipe with me (and you), so you too can make your own out of ingredients you probably already have in your kitchen – it’s that easy. Gather eggshells. Usually chicken eggs are used, but you could also use oyster shells or bones – anything with high levels of calcium. Roughly grind them up in a mortar and pestle, or the bottom of a cup in a large bowl. Toast the shells in your fry pan or on the bbq until some of the shells start turning black. 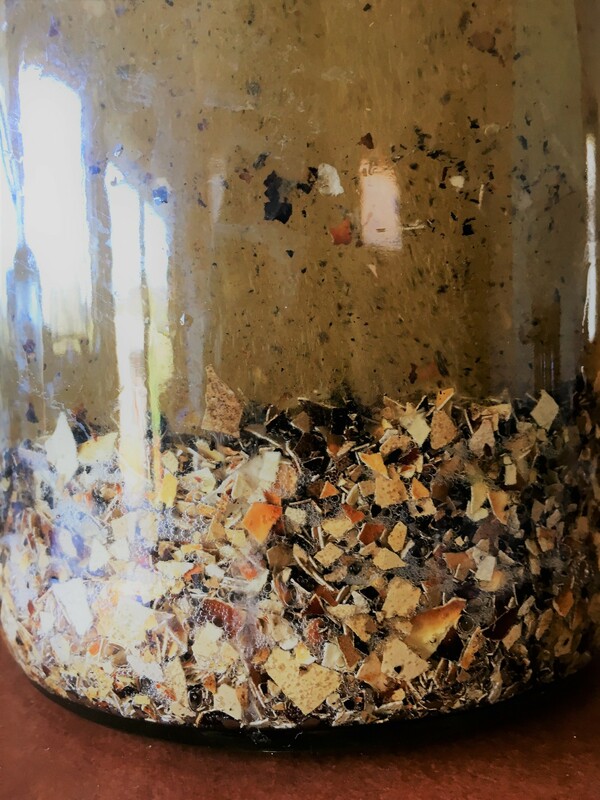 The charred black shells are the phosphorus and white/brown shells are the calcium. Put shells into a glass jar along with apple cide vinegar, 1 parts shells to 5 parts vinegar. 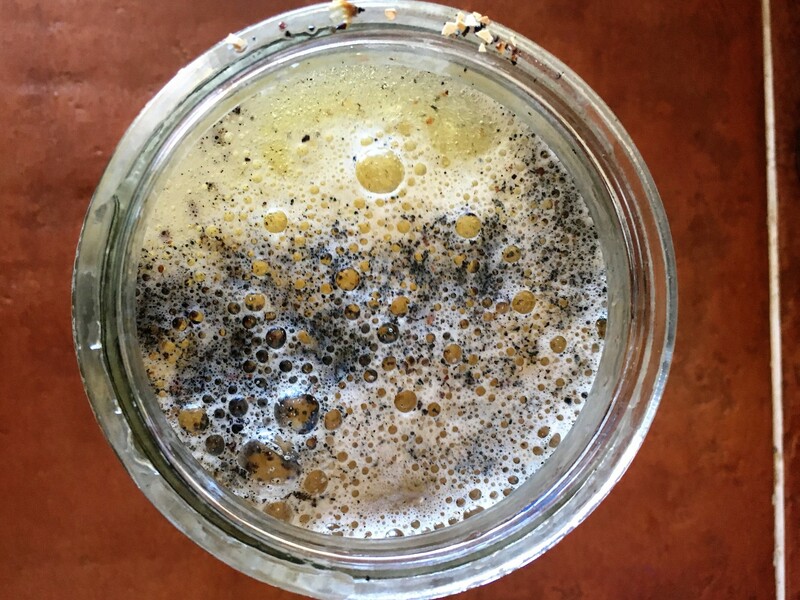 The mix will start to bubble (this is a good thing), once this stops, seal the jar and leave it to ferment for 20 days. After 20 days, strain and filter the liquid. Use on your flowering/fruiting plants! 1 tbs calphos to 4L of water. 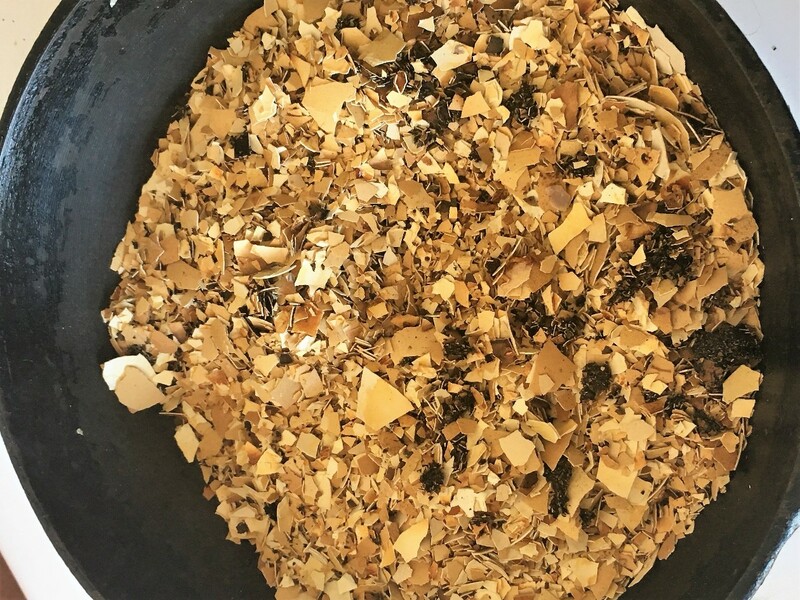 In a world where the general approach to growing food is to spray it with this, that and everything (think chemical fertilisers), useful tools like this one that ensure optimum plant health and nutritioun levels are gold – solid gold! Want to know more? Have a good rummage around The Unconvetional Farmer’s website for some highly useful info!